Patterns on the dining room walls, colour in the kitchen, statement pendants in the hall – the Crisscross Collection is the latest lighting range from bernabeifreeman. 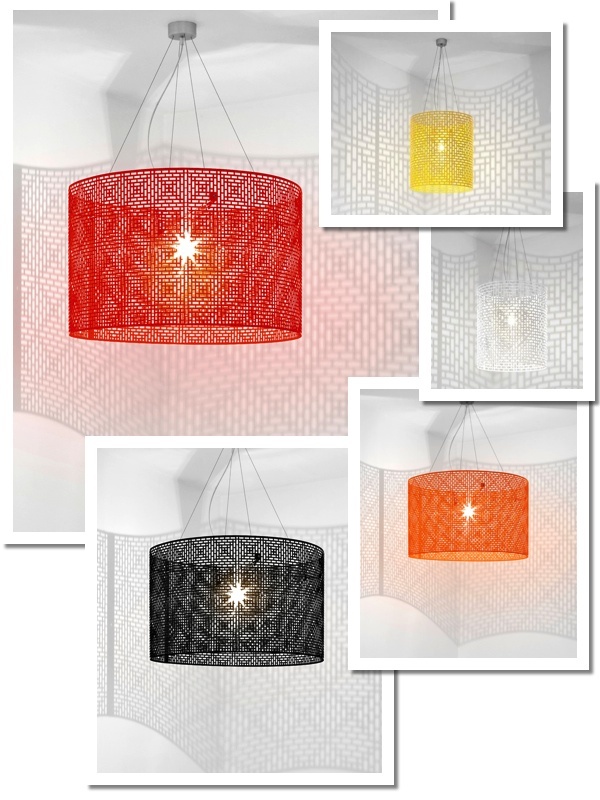 Featuring a perforated geometric pattern that creates elaborate patterns of light and shade, Crisscross designers, Rina Bernabei and Kelly Freeman, have harnessed the qualities of traditional hand-woven baskets in rolled aluminium to create a vibrant and playful set of lights. They are available from ISM Objects, a Melbourne-based company which shows its support for the Australian design community by working with up-and-coming and established Australian designers to produce iconic Australian lighting. The Crisscross collection is available in three sizes and a variety of colourful glossy powder-coated finishes, including black, white, red, yellow and orange.